Bought this book of poetry at a used book store and found a treasure trove. 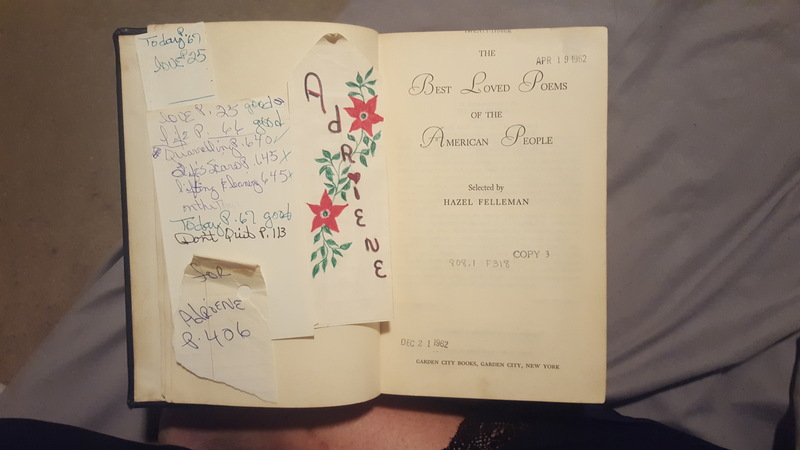 Marked pages, a list of poems along with a bookmark for Adrianne and the punch card from the library. Next to vintage photo Finds, book treasures are my Favorite Finds. I love when books ordered from Amazon, etc. have secrets locked away in them! Great Find, Amy!